The question hung between them, heavy, resigned. A soft beep chirped as Doctor Monroe unhooked the last lead from Edna’s chest. Her fingers shook as she tugged the neck of her gown up, so it draped over her shoulder. Edna’s breath hitched. She wasn’t afraid of dyin’. Never had been. If she were honest, she’d wished for it a time or two. But she couldn’t leave—not now. Nora still needed her. And what about her work at the church? She was in charge of the Appalachian Project, which made sure underprivileged children got clothes, food, and a shot at a decent life. No one else had run it in years. And the farm. There were so many repairs that still needed done. Nora wouldn’t be able to do it alone. She closed her eyes. Nora. Sweet Lord in heaven above. That baby had already been through so much. Her sunshine couldn’t lose the only mother she’d ever known. Doctor Munroe frowned as she shuffled from the edge of the harsh plastic table and slipped her bare feet onto the floor. Edna’s eyes twinkled. “Rest assured, Doc, I won’t die alone.” The smile slipped from her lips. “But I won’t spend the rest of my days watching my Sunny waste away with worry either. Now, unless you want to see more than you bargained for, I’d skedaddle.” She tucked the edge of her gown around her back, where it lay open, to emphasize the point. He sadly smiled. “Go home and think about it. And if you change your mind, call my office. I’m leaving a prescription with the nurse, and I’d like to see you back in a few weeks.” He picked up his clipboard and walked out of the room. The door closed with a quiet click. Edna took a deep breath, taking in the gritty scent of rubbing alcohol and antibacterial soap. She looked around the stark white room, finding it odd that as soon as she knew her time was limited her senses seemed sharper, her mind clearer, like her spirit wanted every last greedy second before it had to leave. Edna sighed and looked out the window. The afternoon sun peeked between the clouds, sending weak light streaming across the town in angled rays. Beyond aged buildings and small storefronts lay rolling hills of lush, verdant forests. The rest of the world knew this part of Appalachia as the Cataloochee Mountain. When Nora, Edna’s foster daughter, came to live with her, she called it “Edna’s mountain.” It was sweet, really. But since Edna was seventeen years old, she’d secretly given her farm another name. A name that embodied everything pure and beautiful and right. It was the same name of a man that had captured her heart in only a day. She mindlessly slipped on her shift dressed and started buttoning the front, her movements slow, methodical, her eyes never leaving the rolling hills just beyond the window. Yes, some knew this land as Appalachia. At the tender age of seven, Nora had christened it Edna’s Mountain. But for almost sixty years, she’d simply called her home Michael’s Ridge. She slipped her feet into her favorite wedges and started out the door. People bustled around as she made her way down the sterile hallways, following the floors painted line that led to the front of the building. She’d come all the way to Asheville hoping for a pill or a cream that might help her manage the pain that had gotten worse over the summer. It never occurred to her that she had something that couldn’t be fixed. The front doors whooshed open, allowing the mountain’s warmth to billow into the awful place. She stepped through, and took a deep breath, appreciating the heady scent of the mountain. She made up her mind then and there, she wasn’t coming back. An old Buick stood out in the front of the building, and Edna climbed into the passenger seat. Edna grunted in agreement. That was the second time she’d lied to Rose in as many days. She hated it, but she’d never tell a soul that she’d already seen Dr. Gene and he was the one that recommended a specialist. Not until she had to, anyway. Edna shifted her body away from her friend as she looked out the window. Rose took the hint and turned up the country station. Garth Brooks’ The Dance softy played, his deep voice singing about a moment when all the world was right. She swallowed back tears as she realized she’d only felt that way once—and it had been years ago. The familiar heartache of being utterly alone pummeled through her, and Edna sighed. Decades. She’d missed Michael for decades. After she had married Arthur, the pain dulled, although it never really went away. But today she’d give anything to see her Michael again. To talk to him. Have him hold her while he told her everything would be all right. Draw from his strength just one last time. The music swelled as the song talked of no regrets, and Edna turned further from Rose, wiping her cheek as a tear made its way down her face. She could have missed the pain. She could have walked away from him, never spoken to him. 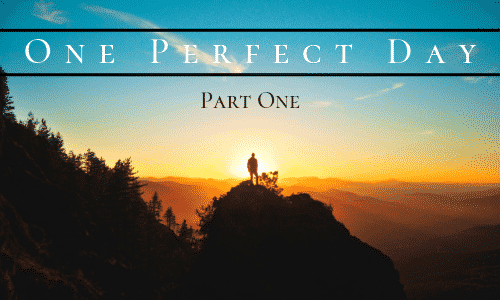 But then she’d never have known what it was like to truly live—even if it was only for one perfect day. This is Edna’s story, one of the characters in the Kailmeyra Series. 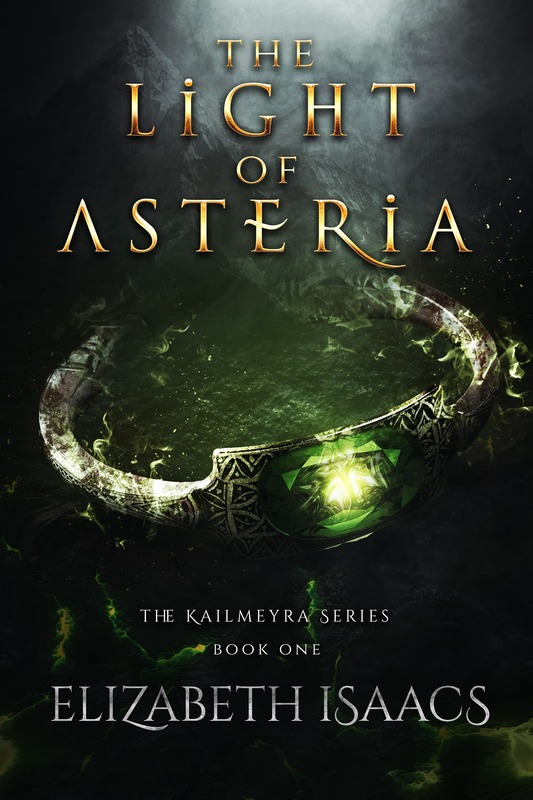 If you’re new to the series, click on the pic to get a copy of the first book, The Light of Asteria, today!